The Lakeshore General Hospital Foundation (LGHF) is pleased to announce that it will finance the development and the acquisition of high- end medical equipment for a Multifunctional Radiology Room. Pointe-Claire (Quebec) - January 21, 2016 - The Lakeshore General Hospital Foundation (LGHF) is pleased to announce that it will finance the development and the acquisition of high- end medical equipment for a Multifunctional Radiology Room at the Lakeshore General Hospital (LGH), a project initiated at the time of the West Island Health and Social Services Centre. This 1.7 million dollar investment has been made possible primarily thanks to the gift of the Eric T. Webster Foundation. Following the analysis of the clinical needs of the LGH and upon recommendation of Dr. Fadi Aris, radiologist recognized for his rich experience and success at the renowned Cleveland Radiology Clinic, the LGH will be equipped with a Multifunctional Radiology Room. The specialized digital imaging equipment to be installed will offer, in some cases, an alternative to conventional surgical procedures, thereby minimizing the invasive component of the process and improving the recovery time of patients and reducing their waiting period. The opening of this room is planned for 2016. "We are particularly proud of this capital investment because it meets a significant need for advanced radiology care for the West-Island community. 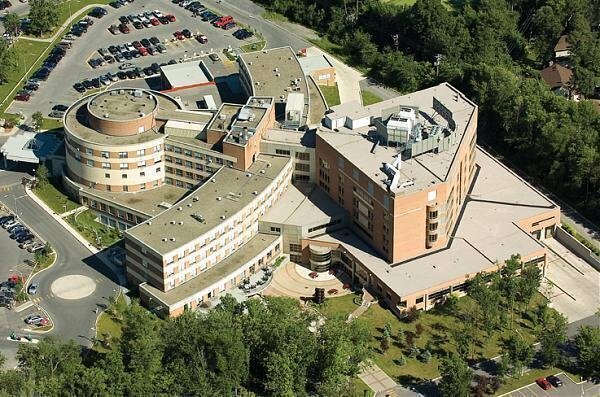 Patients requiring such treatments will no longer be transferred to other institutions and will be treated close to home," says Benoît Morin, President and Chief Executive Officer of the Montreal West Island Integrated University Health and Social Services Centre (MWIIUHSSC), of which the Lakeshore General Hospital is a facility. "This new room at the cutting edge of technology will enable the hospital to provide modern treatment options. It will have an immediate and profound impact on several departments, namely: Surgery, Nephrology, Oncology, Hemodialysis, Emergency and Obstetrics, "says Heather Holmes, Managing Director of the LGHF. "We thank the Eric T. Webster Foundation for their immeasurable support, without whom the project would not have been possible," added Holmes. "The Eric T. Webster Foundation is pleased to help finance and equip the new Multifunctional Radiology Room at The Lakeshore General Hospital. It will be a great benefit to patients to have access to the specialized digital Imaging equipment. Our thanks to Dr. Fadi Aris. We wish Dr. Aris, his staff and the LGHF every success. " Founded in 1964, the Foundation’s mandate is to collect the necessary funds to improve patient care at the Lakeshore General Hospital. In this way, it contributes to the purchase of state-of-the- art equipment, major structural renovations, and programs and specialized training for the professional staff – initiatives not supported by the government. The Montréal West Island Integrated University Health and Social Services Centre emerged from the grouping of the West-Island HSSC, the Dorval-Lachine-LaSalle HSSC, the St. Mary’s Hospital Centre, the Douglas Mental Health University Institute, the West Montreal Readaptation Centre, the Grace Dart Extended Care Centre, and Batshaw Youth and Family Centres. It includes no less than 9000 employees and 750 physicians. The LGHF is grateful for its corporate partners and their invaluable support and community involvement: Desjardins, Radimed, Spinelli, Aqua Spa Lyne Giroux, Belvedere Cemetery and Funeral Complex, Catsys IT & Media, Complexes Funéraires Yves Légaré, Jean Coutu (Beaurepaire), Mansfield Athletic Club, Montreal Airport Marriott In-Terminal Hotel, Pharmaprix Southwest One/MedEquip, Plus Belle La Vie, Réseau Sélection and Rouge Nail Bar.